G&C Lean Sigma is a consulting firm committed to the success of their customers by generating added value in a comprehensive and highly professional service. COMPETITIVE ADVANTAGE. Our company focuses on delivering value and building trust, by designing Lean Six Sigma solutions that fit the needs, goals, interests and expectations of our customers. Extensive experience of its partners in training and implementation of best management practices at the organizational level. All Our consultancies are made of Management Models that provide the highest levels of business and stay competitive in a market, such as: * Training Lean Six Sigma Black Belts. * Training Lean Six Sigma Green Belts. * Training Lean Six Sigma Yellow Belts. 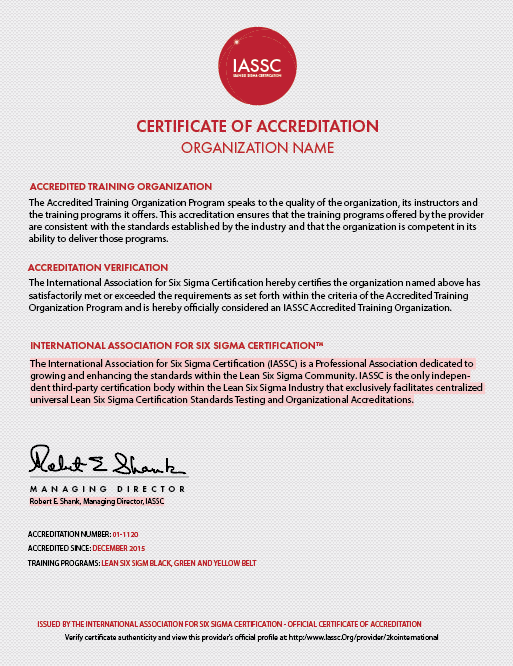 * Management System ISO 9001 with lean Six Sigma * OHSAS 18001 Management System with lean Six Sigma * ISO 14001 Management System with lean Six Sigma * Management System ISO 13053:2011 "Quantitative Methods for Process Improvement - Six Sigma" * Strategic Planning * Lean Manufacturing * Total quality * Kaizen (Continuous Improvement) * JIT (Just in Time) * Six Sigma * reengineering * benchmarking * Empowerment ("EMPOWERMENT") * Outsourcing (Outsourcing) * Organizational Culture"